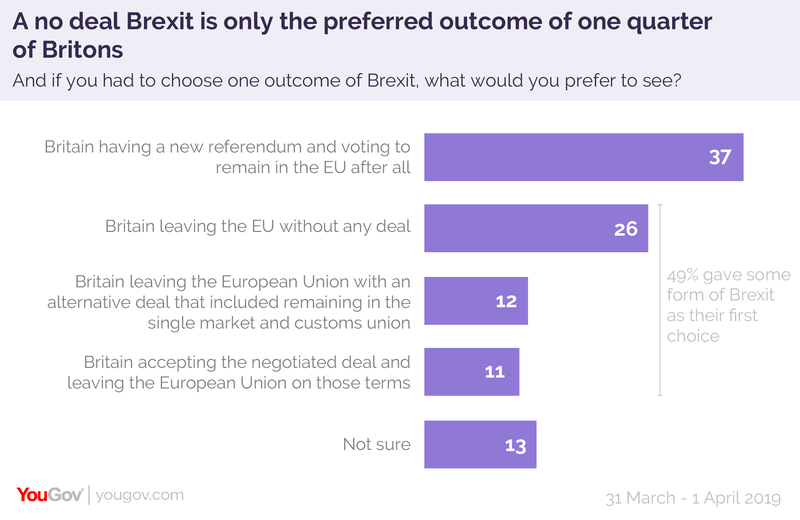 April 04, 2019, 10:44 a.m.
Only 25% of people would consider a No Deal Brexit to be a positive outcome. Twice as many (50%) would see it as a negative, and 37% as a "very bad" outcome. Even among Leave voters, only half see a No Deal conclusion as positive. 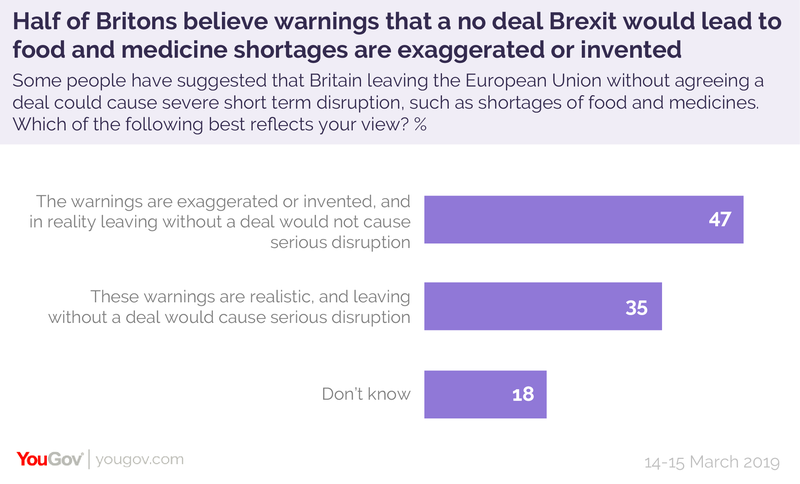 While No Deal is viewed negatively, the majority of people do not believe warnings of severe disruption. Only 35% think the idea of food and medicine shortages is realistic, while 47% think it’s exaggerated or invented. Only 26% select No Deal when asked which outcome they would prefer. 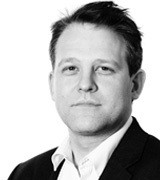 Less popular, at 11%, is the government&apos;s deal, while 12% would prefer a deal including a customs union and the single market. Just over a third (37%) would prefer a second referendum, ending with the UK remaining in the EU. 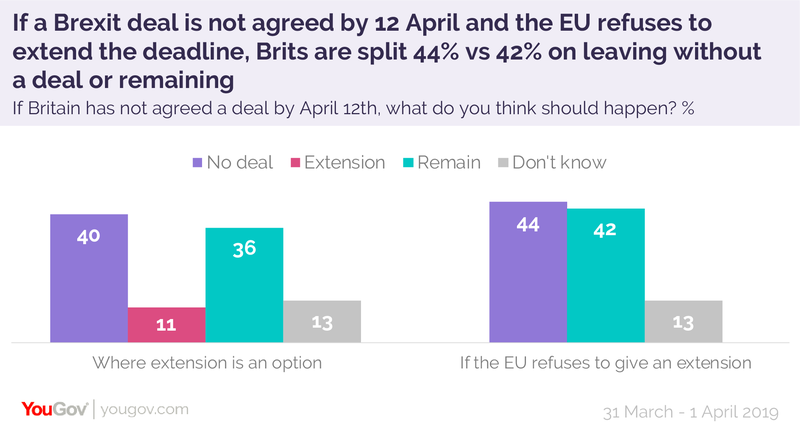 If the European Union refused a further extension, and Britain was faced with a stark choice between Remaining or No Deal, then by 44% to 42% people would prefer to leave. 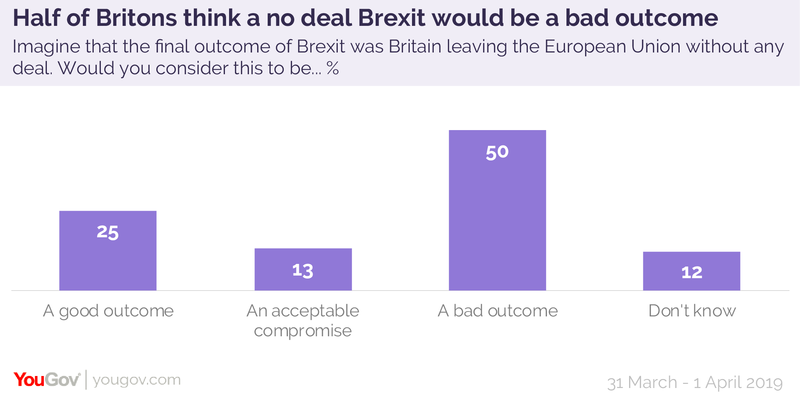 However, while other options remain on the table, it would be wrong to say 44% of people support No Deal yet.